Across the street from Walmart on 441. Between Fastenal and Weller Pools, before Fairwinds Bank going west bound. Next to Fifth Third Bank. Sell Your Car in Apopka - Fast, Safe, Fair! 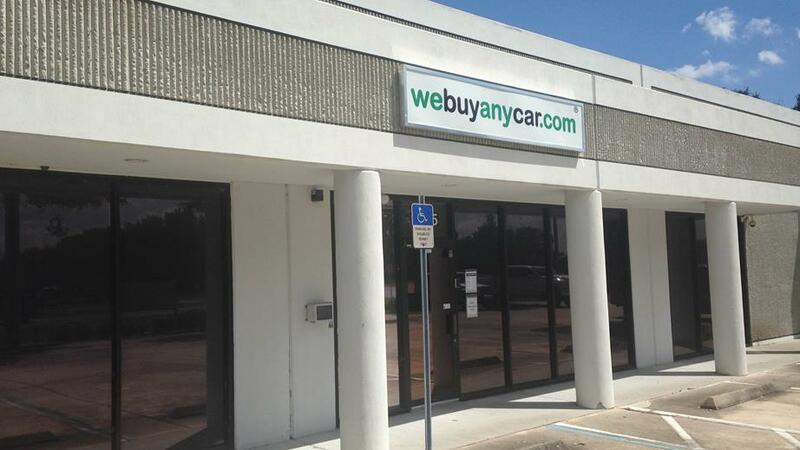 When it comes time to sell your car, turn to We Buy Any Car Apopka for a fast, safe and convenient transaction. As expert car buyers, we have streamlined the process so you get cash for your car fast! Get a free, online valuation in just 60 seconds on our website, then book an appointment to sell your car in Apopka, FL. In less than 1 hour, you can sell your car and leave with a check in hand. So skip the trade in and visit We Buy Any Car Apopka. We've listed answers to the most common questions on the frequently asked questions section of the website but if you'd like to talk to someone, you can reach Nick Pooley who manages our Apopka car buying center at (407) 889-0023 during branch opening hours, listed above. You'll usually be met by Nick Pooley, who manages our Apopka branch. Nick will check your documentation to ensure you have the correct paperwork and necessary items and will then conduct a short inspection of your car. This usually takes around ten minutes and you can accompany Nick while your car is reviewed. If you cannot arrange a ride home in advance from a friend or family member after we buy your car, our branch manager will have a list of public transportation available in the Apopka area.